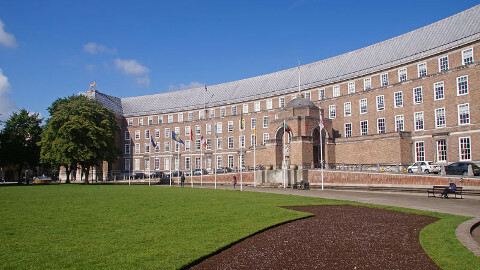 Bristol assumed the mantle of a forward thinking and progressive city in terms of its approach to sustainable energy use in 2015, when it became the European Green Capital. Bristol City Council have taken the lead in this, spearheading initiatives that have transformed a number of the city's most iconic buildings. Kevin was commissioned to review the BMS and controls in each of these buildings. With all of these projects, the key to success was maximising what was already there in terms of plant and reducing the up-front investment. 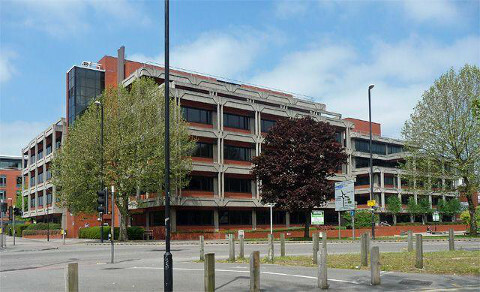 This iconic office building close to Temple Meads Station was acquired by Bristol City Council in 2012. 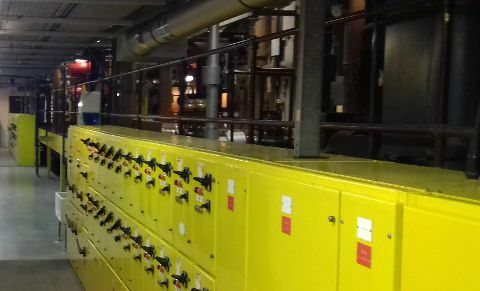 The building services were controlled by an obsolete Staefa AS1000 BMS. The option to undertake a complete upgrade to a new Siemens system was considered, but Hurtwood developed a much more cost-effective retro-fit solution which still delivered the new Siemens control and user interface. BCC's own subcontractors installed the solution in a matter of weeks, with a significantly reduced down-time for the BMS. In the process, a whole host of legacy opportunities were seized, including heating the domestic hot water supply from the boiler plant rather than from immersion heaters. Also, the use of a Modbus based system meant that other items of plant have been cost-effectively integrated into the BMS. For example, the energy consumption of one AHU was reduced by 80%. The retrofit system freed up valuable engineering time to get to grips with the services rather than focussing on the tactical effort of upgrading the whole BMS. Heating & Ventilation services are far more efficiently controlled and are significantly optimised, reducing staff complaints. This has led to demonstrable cost and efficiency savings of about 20% across the building. For instance, the chillers rarely run during the day because the chilled water thermstore is being charged during the night, using cheaper electricity. BCC now have a future-proof solution and they are very happy with the efficiency savings that have resulted. The retrofit solution that Hurtwood implemented has helped them to meet their own targets for energy efficiency and sustainability, and demonstrate to their stakeholders - including the council tax payers of Bristol - that they are making decisions that affect the future of Bristol and beyond. 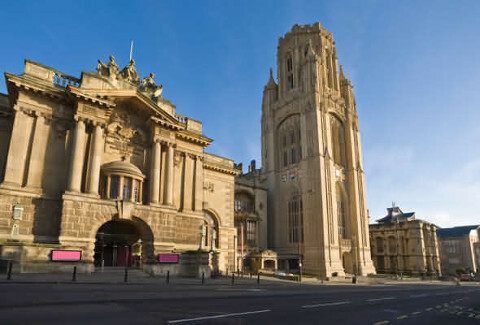 Bristol City Council have undertaken a full refurbishment of this iconic building to accommodate their back office functions. The building had an ageing Satchwell Sigma BMS and Kevin suggested a retrofit solution, reducing the cost of the upgrade. The building now enjoys additional environmental monitoring of temperature, humidity and CO2. Heating & ventilation are far more efficiently controlled and optimised. There is an expectation of significant cost savings, a better physical environment for employees and demonstrable progress towards BCC's energy efficiency goals - satisfying all the stakeholders. In common with most provincial city art galleries, Bristol wants to be able to host artworks from around the world. In order to do so, the galleries needs to meet a number of strict requirements involving security and environmental standards. Hurtwood's upgrade of the ageing Satchwell Sigma heating and humidity controls has provided highly reliable control of temperature and humidity so that major art galleries can feel satisfied that their paintings and sculptures are being exhibited in the correct environmental conditions. Also, the upgrade of the Sigma boiler controls has provided fully modulating boiler control, realising improved cost-savings over those provided by the installed Sabien M2G boiler controls. 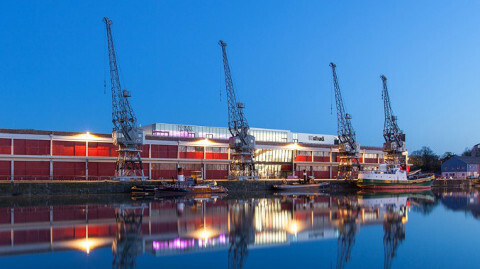 This museum on Bristol's waterfront is home to over 3000 displays of artefacts and stories relating to all aspects of life in Bristol. The building is host to three main galleries as well as a number of public spaces and its original design as a maritime transit shed have provided the operators with many challenges in terms of the environmental controls. Once again, they turned to Hurtwood to resolve issues with the Trend and Menerga control systems and we have delivered substantial cost-savings and improvements in environmental control. Kevin Williams is happy to introduce interested parties to what he has achieved in these buildings as a result of his expertise and that of his team at Hurtwood. Many of our clients would be happy to meet with interested parties to share their experiences. We can provide written materials outlining the costs and benefits of the work carried out. It sets out the sound business case for the work and provides evidence to share with other members of your decision-making unit. To contact Kevin to arrange an inspection of one of your buildings that may benefit from a BMS refurbishment, phone Kevin on +44 (0)1249 248 117 or email kevin@hurtwood.org.uk.